What better way to spend a Saturday than sit by someone’s bedside in a hospital! That’s what Scott, my daughters, my grandkids, and my ex did today. Luckily it was gray outside, so they didn’t miss any good weather. 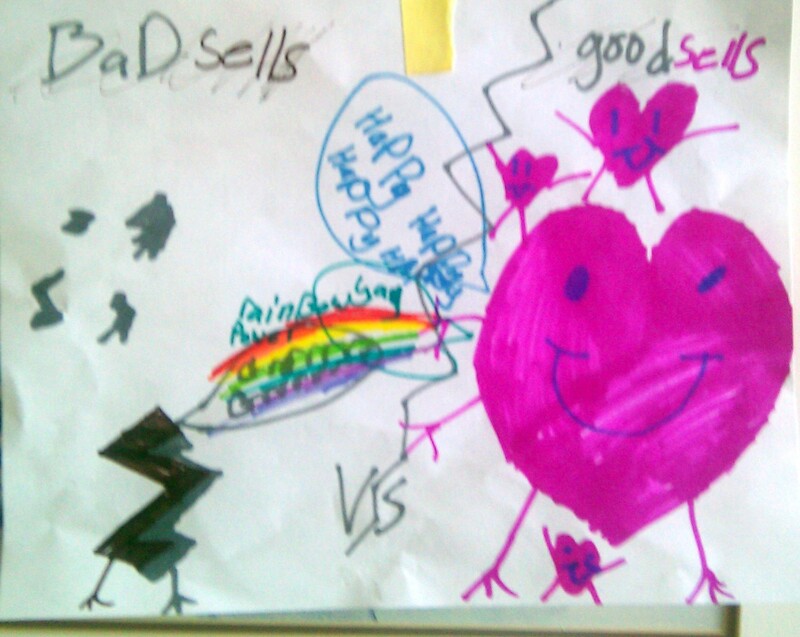 My grandkids drew representational pictures of my good “sells” killing my evil “sells.” Christy taped them up over the washed-out print. In the afternoon, they carted me off for a CT scan of my head because I’ve been getting headaches and they want to make sure it’s from their chemo pills and not from a bleeding brain. I’m not one to have headaches, but I’m thinking this is going to be nothing. Fastest CT ever, though, so no biggie. Not like the 25 minutes I spent in the MRI yesterday laying completely still for the heart scan. Saturday night ended with SNL, which seems to be a tad better than it used to be. I couldn’t believe how fast they came up with a reference to Obama sending home the secret agents from Colombia, where one of them failed to pay a prostitute…how symbolic of our relationship with South America. I’m feeling strangely peaceful. That makes me worry that I’m not a “fighter.” Meanwhile, everyone reminds me that my positive attitude will pull me through. Does feeling peaceful mean I’m not a fighter? Or is it just Ghandi-style approach to life. Passive resistance. It usually serves me well. In my memory, my dad’s voice bellows, “Die young and leave a good lookin’ corpse!” I’d like to think I have a few years left to leave a good-looking corpse. I’m not fond of imagining myself with dementia and being pushed around lugging an oxygen tank, but you never know. I DO know that I’m incredibly stubborn and tenacious—and many joys and struggles left to be experienced. Warm breezes, the smell of bread, Exploring a new city with Scott. So many poems left to write. So many paintings left to do. Watching grandchildren grow. I have a bucket list and want to fulfill it, which is motivation, for sure. I also want to be there for my husband and daughters. Parenthood doesn’t go away; it just changes. But most importantly, I realize I need to put myself front and center. Before my dad and my friend Richard died, they both acknowledged the fact that they’d lived life on their own terms. It didn’t make them rich, but it made them happy. And, it made their lives worth living. I can’t say that. There have been so many “shoulds.” Not always, but too many. I let that thought lead my decisions. Makes the future much more fun—and good advice for all of us. 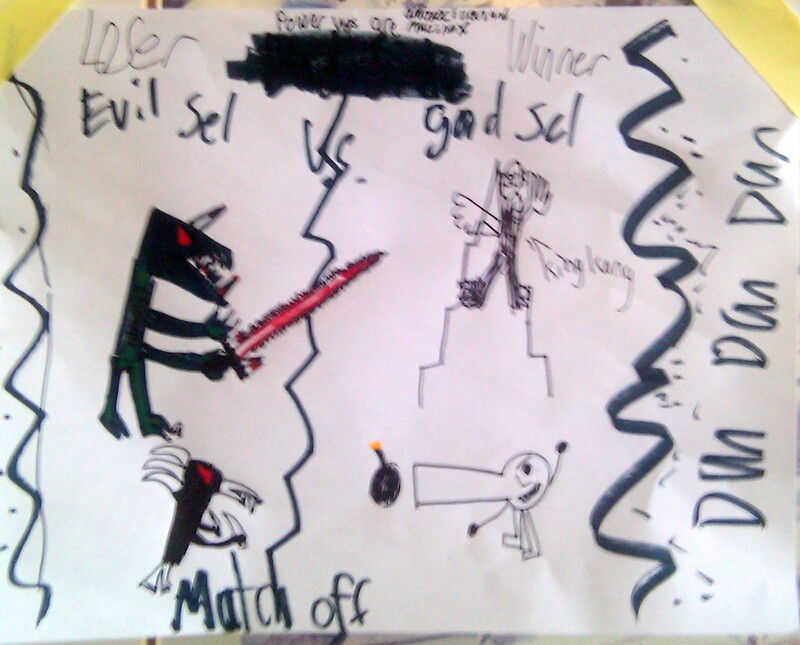 Hi Emily — I’d say we have the next generation of New Yorker cartoonists brewing with your grandkids — WOW! Great work! These posts are great, Emily! Makes me wish I knew you better and I can see why Scott loves you so much. Keep writing, even if you don’t feel good. I’ll read them and you will have a record, too. One more confrontation with life and death…. Yes. I hope that you can fulfill that list and have many more years ahead of you to do all the things that you want to do. I’m so sad for you and Scott right now. Thank you for sharing your experience so far. I love your writing style! Big hug to you! Hi Emily — I think we met only once at Karen D’s baby shower so you know how long ago that is! Just wanted you to know that there are folks you don’t even really know who are praying for you as you face this trial! And, for the record, I think your humor and calm strength is going to serve you VERY WELL in overcoming this!! I got the news via a group email from Scott. You are both in my thoughts, and if anyone can beat this, it is you and your support team! Still stinks that you have to go through it. But I love that you are sharing it here for however it helps you, and therefore helps others. I have a 30ish work colleague who also got a surprise diagnosis last year. I worked with her one evening and the next day she was in the hospital. She never knew there was a problem – just had a routine dcotor appt. Eileen, like you, is so positive and has such support. She started a facebook page for positive comments and updates. Now she is back at work part time and looks great. Perhaps you two can touch base. Let me know if that sounds helpful and I will talk to her. Also, I wanted ot share that when I was 12 I had to go into the hospital for a spinal fusion. I was there for 3 months. A strange sort of calm and patience came over me that I had not experienced before, nor would expect at that age in retrospect. Even the nurses commented. (I was probably one of their easier pediatric patients). I think it is a gift that is given to us when we know we can not change or speed up a process but we know we have to adapt to get through it. It is quite the opposite of giving up. Not resignation but trusting. I hope this state serves you well. You are clearly a fighter. Mary thanks for sharing your experience. That’s exactly what I’m talking about. I would love some herbs and help with basil. Mine always turn spindly. I think I’ve got art supplies covered.